Cory Monteith is a Canadian actor and musician. 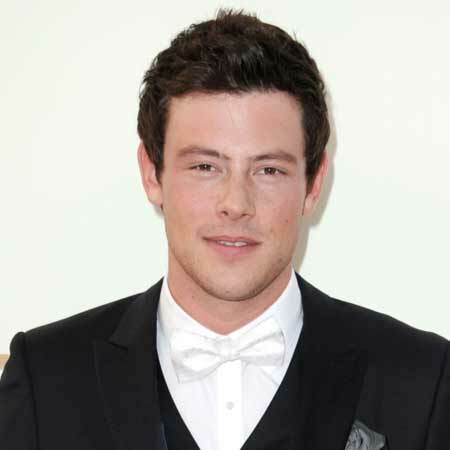 He is famous for his role as Finn Hudson on the Fox television series Glee. Cory had a troubled adolescence which includes substance abuse from the age of 13. He left his school at the age of 16 and was sent to drug rehabilitation at the age of 19. Cory died on July 13, 2013, due to a toxic combination of heroin and alcohol in a Vancouver hotel room. Monteith was born in Calgary, Alberta, on May 11, 1982. His parents divorced when he was just seven years old. Ever since he has been living with his mother in Victoria, British Columbia. He started doing alcohol and marijuana due to social difficulties in the school and started being truant from school. Cory also attended alternative programs for troubled teens. His dependency on drugs and alcohol had increased with age. Hence, he started stealing money from his mother, friends, and family, to fund his addiction. At the age of 19, he went to rehab for the first time, got sober and eventually discovered acting. He fell back into drugs and alcohol as soon as he left the facility. He received his high school diploma from an alternative school he attended in Victoria in 2011. Cory started his acting career from Vancouver, British Columbia. Before acting, he did various jobs like taxicab driver, school bus driver, Walmart people greeter and roofer. His first acting job was a small role in Stargate Atlantis. Later, Monteith appeared on Smallville, Final Destination 3 and also had a recurring role in Kyle XY. In 2010, Monteith was cast in romantic comedy movie Monte Carlo along with Selena Gomez and Leighton Meester. He also made a guest appearance in TV serials such as Supernatural, Stargate SG-1, Flash Gordon, Stargate Atlantis. Cory was cast as one of the main character Finn Hudson in the Fox musical TV series Glee in 2009. Finn Hudson, in the movie, is a football star who gets involved in glee club with fellow member Rachel Berry, played by Lea Michele. Monteith has sung a large number of songs as well. However, he was not a singer before being cast as Finn. He has also won Teen Choice Award and was nominated for TV Guide Award, Screen Actors Guild Award, and Gold Derby Awards for the role. Cory's only girlfriend was his cast member Lea Michele, an American actress with whom he was in a serious relationship. The media reported that the duo started dating in early 2012. They were in a relationship for a year and a half until the death of Cory. Lea has dedicated two songs to Monteith, "If you say so" and "hey you," after his death. The late actor Cory weighted 83kg at the time of his death. His nationality was Canadian and belonged to white ethnicity. Cory was not only an actor but a musician too and his net worth was estimated to be $2.5 million before his death. Cory Allan Micheal Monteith was born on May 11, 1982, in Calgary, Alberta to Ann McGregor and Joe Monteith as their younger son. Cory was raised along with his older brother Shaun Monteith in Victoria, British Columbia by his mother. Cory started his acting career from Vancouver, British Columbia. His first role was as a supporting vharacter in Stargate Atlantis. He was cast as one of the main characters in fox TV series Glee. Later, he also appeared in Smallville, Final Destination 3, Kyle XY. Throughout his life, Cory was in a relationship with Lea Michele. They started dating in early 2012 and dated for a year and a half until the death of Cory Monteith. Cory had a troubled adolescence. He started doing alcohol and marijuana due to social difficulties and also was sent to rehab at the age of 19. On July 13, 2013, Cory Monteith died at the age of 31 due to overdose and combination of heroin and alcohol at a Vancouver hotel room.